“Every show has at least one destroyer,” Lowery says, “the one who will just totally trash their wig. 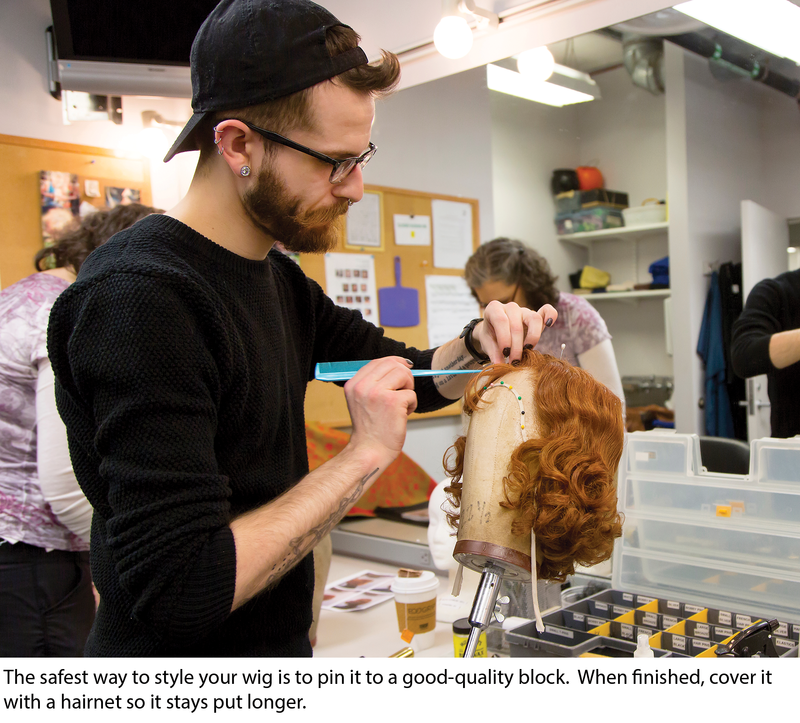 It’s usually the same person who’s most likely to rip their costume or fall over the set.” That’s why it’s important to teach the cast and crew about wigs and their care before the show, especially when high schoolers are involved. 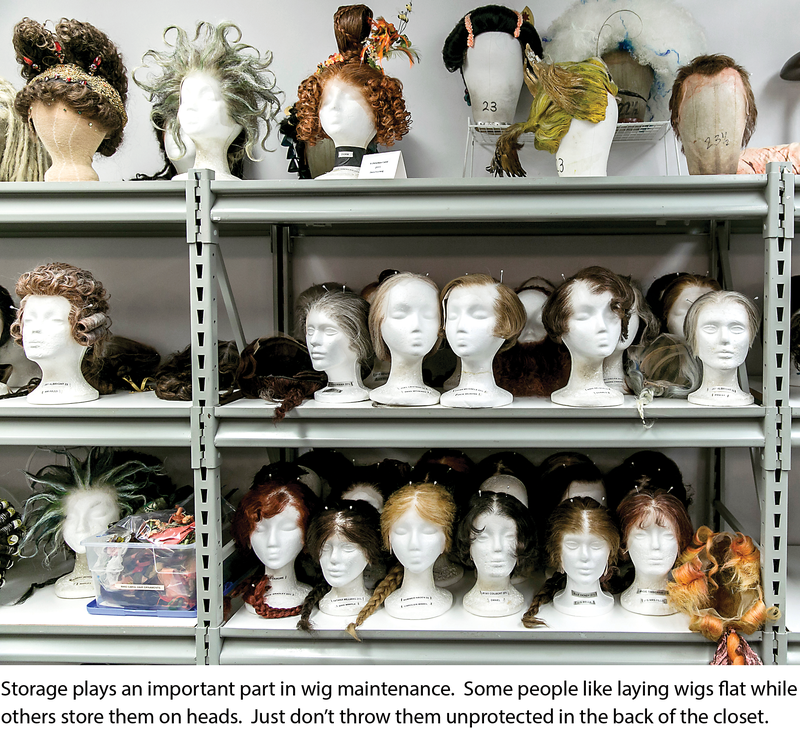 Wig, makeup, and costume designer Sarah Bussard agrees, “Occasionally, I have actors who find the lace uncomfortable, feel like it’s very obvious from stage, or are bothered that it’s getting in their eyes, so they take a pair of the scissors to the lace that starts at roughly $70 a yard.” Ouch. When styling the wig, both Lowery and Bussard advocate the use of a steamer rather than potentially hair-damaging hot tools. Steaming a wig involves running a steamer over the style you’d like to set, such as curls in rollers, for five to 10 seconds per section. This is the safest and most effective method, particularly for synthetic wigs, and while wig-specific steamers are available, any handheld steamer (like those used to get wrinkles out of clothing) will do. Otherwise, a wig can be styled like your own hair, with regular human-hair products. However, according to Lowery, it’s safest and most effective to style on a canvas head-block. It may require a bit of an investment ($25 to $30 as opposed to those ultra-cheap Styrofoam heads), but the canvas blocks are closer to natural human head size and are more secure when pinning or brushing. After the style is set, Lowery advocates putting a hairnet over individual elements, like a bun or a beehive, to protect the style and help it stay put for longer. And the audience can’t tell. What if you have a very dirty wig? After shampooing, pour a liberal amount of baking soda onto the wig and comb through, creating a paste. Continue to comb through gently until the hair is completely detangled, then rinse. “This is fantastic for getting rid of the sweat and hairspray gunk that builds up,” Bussard says. 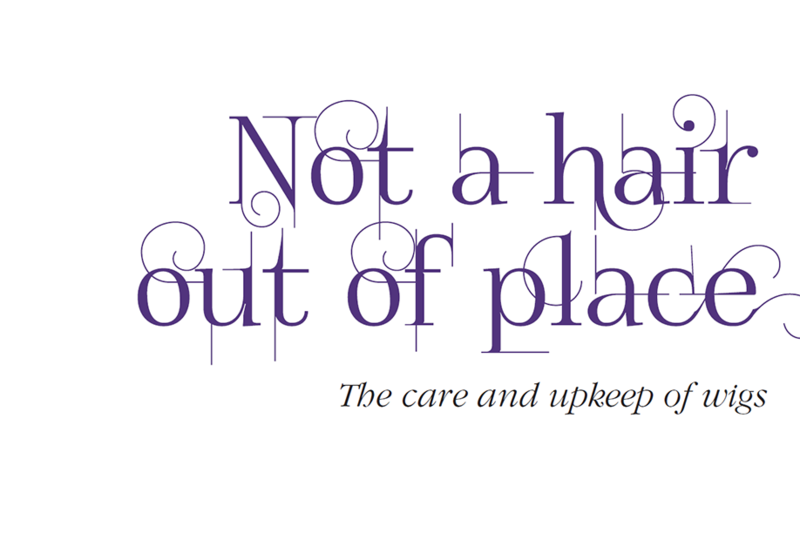 Bussard adds that it is vital to invest in good brushes and, perhaps more important, to avoid bad brushes like those with the little balls on the bristles that can yank on the hair. Traditional methods might prove a little too rough for delicate lace-front wigs. Bussard outlines her process as follows. Put the wig or piece on the block and secure it with pins at the crown, leaving the lace front unpinned. Put a strong paper towel between your block and the lace. Using 91 percent alcohol and a bristle brush, strong white toothbrush, or shoe-dye dauber, gently tap or scrub the lace. Whether lace-front or not, allow the wig to dry either on the head or on a towel, with the foundation (i.e., the underside) facing out. 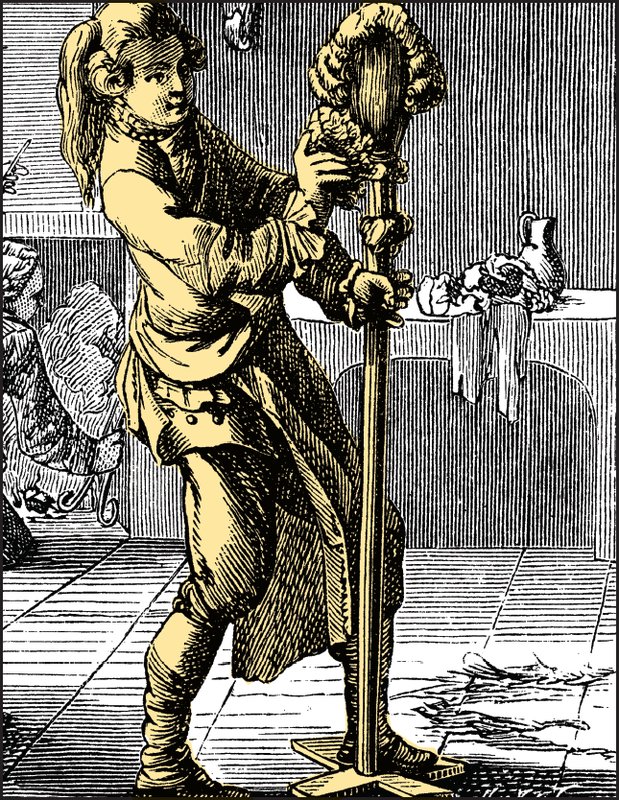 Do not hang the wig, as it can cause the foundation to stretch. It’s important that the wig dries completely. If it’s stored damp, it can incur fabric rot or mold. To sanitize and deodorize the piece, spray the foundation with a solution made from one part 91-percent alcohol (cheap vodka works, too) and three parts water. Again, allow to dry fully before storing. That’s pretty common practice. Bussard, for example, uses bags but leaves a small part unsealed for air flow. Still, the best method for storage is debated. “Some people believe in laying it flat; some people like to store them on heads,” Lowery says. Whatever you do, though, organization is key, as well as keeping all wigs in a cool, dry place to prevent mold. After all, the last thing you want to do is let your hair down.